Stockholm, Sweden is arguably one of the world’s most beautiful capitals. 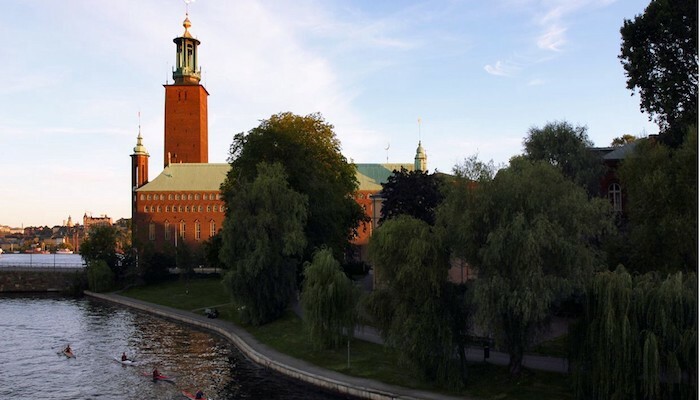 It is built on 14 islands around a medieval city center and is located where the freshwater Lake Mälaren flows out into the Baltic Sea. 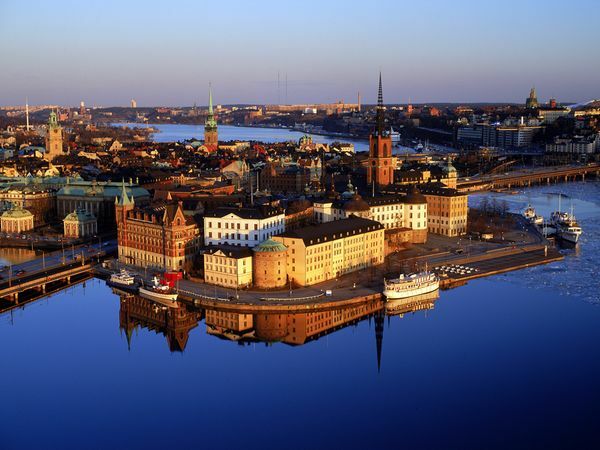 Stockholm is the most populous city in the Scandinavia, with 2.2 million people living in the metropolitan area. Running in Stockholm is a treat, given the water, unique geography, and well laid out pedestrian and recreational paths. 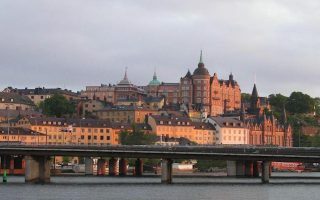 The Stockholm Marathon is claimed to have one of the most beautiful marathon routes in the world. 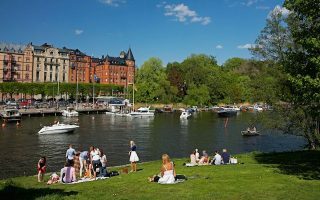 The best running routes in Stockholm are defined by scenic paths along the waterfront, across bridges to the islands, and some lovely green spaces. 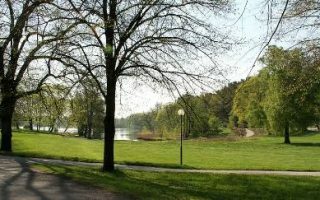 We also have some routes that combine some of the main Stockholm sights with some pleasant parks and urban highlights. Stockholm has an excellent public transportation system consisting of bus, tram, local train (pendeltåg) and subway (tunnelbana; look for a T-sign). A 5.5 mile “runtour” of Stockholm’s main sites. Much of the route is along the water and over bridges to two islands. A tour of this island in south Stockholm. Many lovely sections, much of it along the water. A green and idyllic island close to central Stockholm. Pass several museums, galleries, gardens, historic buildings, and an amusement park. A residential island where the spectacular City Hall is located. Mostly along the water. 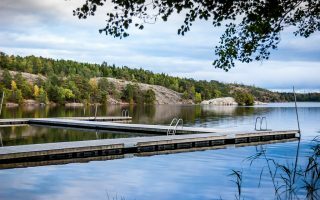 Highlights include a beautiful park, an inner city beach, and Hornsbergs Strand. One of the defining elements of running in Stockholm is its latitude. In summer, running late at night is a particular treat due to 18+hours of daylight. In winter, Stockholm makes up for short days in part by providing good lighting along most of its paths. 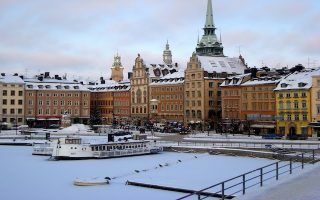 Despite its northern location, Stockholm has relatively mild weather compared to other locations at similar latitude, or even farther south — receiving more sunshine per year than Paris or London, but also precipitation on about half the days through the year. It can snow from November to April, and winter running will likely involve snow or ice so bring your Yak-Traks. Summers are mild but rarely warm. You’ll almost always need an extra later for morning runs, even in July. Radisson Blu. Chain of well equipped hotels. Several locations in downtown. Scandic. Another chain, several locations in downtown. Nordic Light Hotel. A nice hotel with great location. Runner’s Store is the biggest running specialty store in Sweden. Located downtown. Löplabbet is another running specialty store with knowledgeable staff. XXL. Price-driven big box retailer which has disrupted Scandinavian sporting goods retailers recently. One location in downtown on Hamngatan, another in Bromma airport. 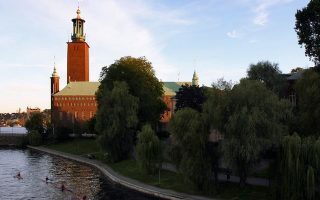 Run With Me Stockholm offers a variety of private guided running tours covering main sights and attractions of the city. Has free group runs, too. Stockholm Running Tours is another group combining sightseeing and running. Nike+ Run Club offers several group runs to runners of all speeds. Hash House Harriers is a Stockholm chapter of this globally spread “Drinking club with a running problem”. Meets every Wednesday night and every second Saturday afternoon for running, beer and fun. Stockholm Frontrunners is running and walking group for LGBTQ people and their friends. Meets every Tuesday for group runs. Stockholm Marathon is the main marathon race in the city, taking place annually late May or early June. Consists of two loops around the city and the finishing line is located on track of the Olympic Stadium. Stockholm Half Marathon. September. This race has been in its current form since 2007 but its roots date to the 1920’s. Midnattsloppet. August. The “midnight run”, is a 10k race which has been run in Stockholm since 1982. As the name suggests, around 20,000 runners hit the streets of the city after the sunset. The same event is organized annually also in Malmö, Göteborg and Helsinki.